If you watched the Tour this year, you were probably inspired by Johnny Hoogerland who was thrown into a barbed wire fence by an official car and got up and won the King of the Mountain jersey, and then for a lark went to get his stitches. 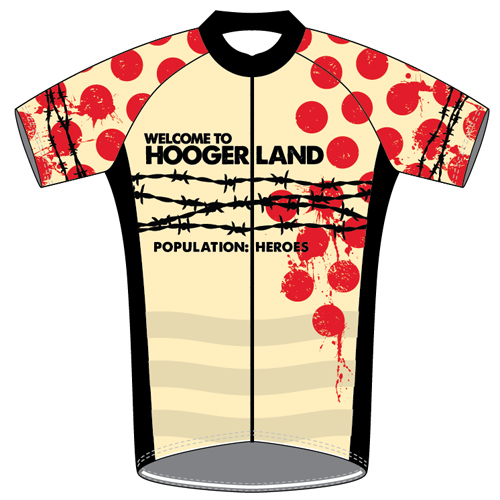 If you’d like to commemorate his ride, check out the UK pre-order of this jersey. They’ll only be a limited run, so grab one before they’re gone.